What is the Veterans' Committee? 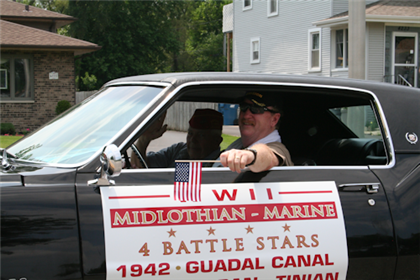 The Veterans’ Committee sponsors an annual Independence Day Parade each year as well as a Veterans’ Day celebration along with their other volunteer efforts and the ongoing support and assistance they provide directly to veterans in need. You do not have to be a veteran to join, and the amount of time you commit to is entirely up to you, other than one meeting a month. Come to a regular meeting to learn more about what our group of volunteers does, and find out how you can help. Regular meetings are held on the fourth Tuesday of each month in the Council Chambers room at Village Hall.